Four researchers at Queen's University Belfast analysed survey data on 2,387 people aged 50 and over in England, including their responses to accounts of disabilities experienced by fictional people. The survey asked people to rate how limited disabled people were in the amount of work they could do, based on statements such as "Elizabeth has almost constant pain in her back and this sometimes prevents her from doing her work" and "Jennifer has undergone triple bypass heart surgery. She is a heavy smoker and still experiences severe chest pain sometimes." One of four researchers, Dr. Rossella Ciccia, told the Work, Employment and Society event: "With higher wealth inequalities, people are more likely to empathise with and feel a moral obligation towards disabled people because people instinctively dislike inequality and they also become increasingly aware of the structural causes behind disablement and ill health." This was particularly the case in areas of obvious wealth disparity, such as Westminster, where "household wealth takes the form of real assets, particularly property and other forms of physical wealth, such as cars and boats, which are clearly observable," said Dr. Ciccia. 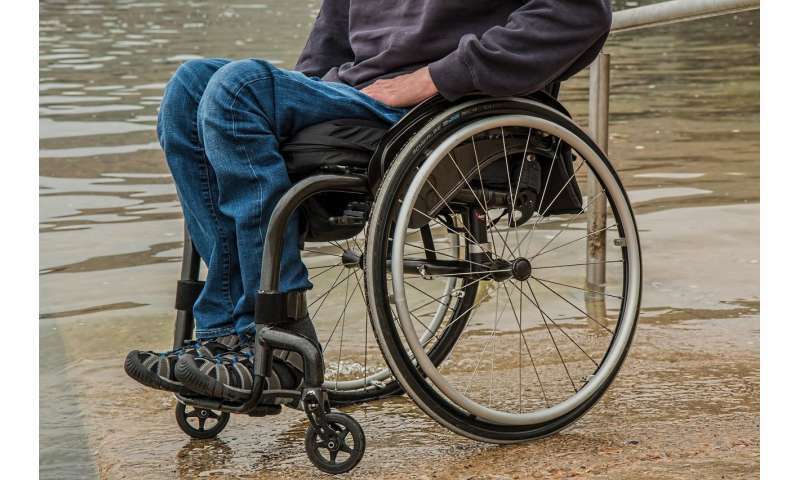 "Our findings show that the high levels of economic inequality in the UK have not eroded support for disabled people. At almost all levels of work disability, we see that individuals in areas of high wealth inequality tend to rate the vignettes as having a higher level of disablement. "In the last decades the social rights of disabled people have been increasingly reshaped and contested. This, in turn, reflects discourses depicting disabled people as unemployed rather than truly incapacitated, or worst as welfare scroungers and cheats. Our findings demonstrate that the public clearly perceives the work limitations and barriers that disabled people face." The researchers found that the probability of considering the vignettes highly work- limited rose by up to 7 percent as wealth inequality moved from the lowest to the highest possible. "Wealthy individuals rate the vignettes as less work disabled but to a lesser degree in areas of high wealth inequality," said Dr. Ciccia. "Self-interest has been shown to be major determinants of welfare attitudes, with those on higher incomes less likely to be concerned with inequalities as they have most to lose economically from government intervention."